The demand for better sedans have always encourage car makers to deliver something better and therefore there are many car companies like Ford that have worked hard to introduce sporty sedans that are gaining more demand in the market. The growing demand for sporty sedans have led to more competition in the market where car makers are introducing sedans that are similar to their base models but they have better engines and performance options that make them better than the regular family sedans. Ford has now come up with the better version of Ford Falcon and they have named it FPV F6 which is the latest sporty sedan in the Australian market, a success in online retailers such as Car Sales. On the outside, FPV F6 is definitely a much improved version of Ford Falcon with some major changes clearly visible. The company has made sure that front fascia has better upgrades and outlook and therefore the new car gets better front side appearance with similar front grille but it gets a broader lower hood that forms like an outline of the overall design. The FPV F6 looks sporty and aggressive on the outside and that makes a bigger difference to the car buyers. The slanted and curvy headlamps with well fitted fog lights offer better dynamic appearance to the car. The overall shape of the vehicle has been tweaked to make it more aerodynamic and there are lot of changes been made to the vehicle when compared with the first generation F6 Typhoon that Ford launched in Australian market. Ford has also decided that they would replace the Ford badges with FPV F6 310 on the rear and sides of the car to give it a new fresh appearance. Ford has also incorporated one of the best engines to the vehicle making this car a no-nonsense sporty sedan. The car is powered by turbocharged 4.0 liter straight six cylinder engine that has the capability to produce 415 horsepower and 565Nm of torque. The engine has the capability to produce acceleration of zero to 100 kmph in 4.9 seconds which is almost equivalent to top rival cars like BMW M5, Porsche 911 Carrera and Audi RS4. Although, the car offers better speed and superior performance it still maintains itself as one of the best fuel economy vehicles as well in Australia by achieving 14.7 liters of fuel per 100 kilometers. The car achieves the top speed of 240 kmph making it among the fastest sporty sedans in the world. 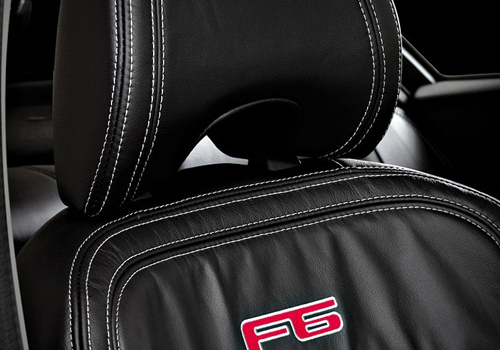 FPV F6 is also one of the most comfortable sedans that you can find in the market. Ford claims that when it comes to interiors seats are really important and therefore they have offered better position and cushioning of the seats to make the driver and passengers feel comfortable when they are in the car. The car is really good for long distance trips because the driver, front passenger and rear passengers will not feel fatigue or body ache when they are in the cabin for long hours. 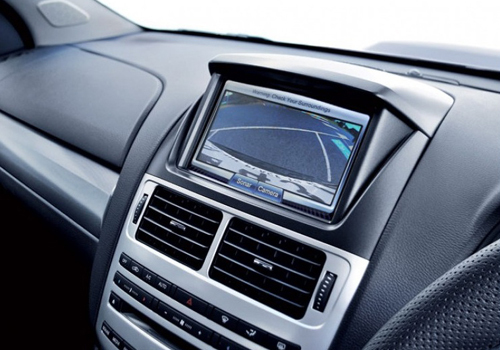 The dashboard has been redesigned completely from the Ford Falcon dashboard offering better options to the driver. Although, the car uses plenty of plastic inside the cabin it still manages to create a better feel with the kind of colors that are offered. The dual zone climate, Bluetooth options and iPod integration also works well while the 7 inch touch screen offers better control to the driver and front passenger to handle most of the options. FPV F6 also incorporates some of the best safety features like dynamic stability, traction control, ABS, Electronic Brakeforce Distribution that allows buyers to handle the car in the right way and provide better crash protection.